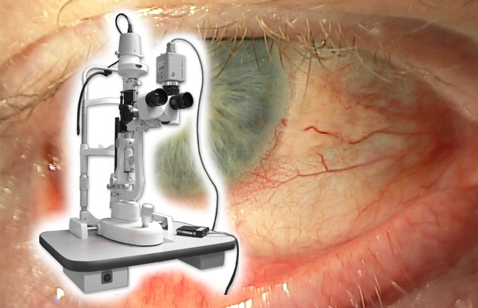 SL-5000p Plus Slit Lamp | HAI Labs, Inc. The HAI SL-5000p Plus Slit Lamp is a premium slit lamp featuring an infinity-control knob for light intensity and slit aperture up to 14mm. It is the go-to model for eye banks, researchers and eye care practitioners who require wide-field anterior segment imaging. When paired with our 3CCD camera and HAI IMS/CL Image Management System, the SL-5000p is capable of color video sequencing with real-time image capture and playback.